The Special Investigating Unit (SIU) did not seem to have the venom of the cobra which was portrayed in its logo. This was the view of a Member of the Portfolio Committee after it had been briefed by the SIU on its recent investigations into the Department of Water and Sanitation (DWS). The SIU countered that its actions had resulted in huge financial recoveries for the state. As a result of its investigations, 58 referrals had been made. The SIU had followed up with the National Prosecuting Authority (NPA) to determine the status of the referrals made to them. It would continue to pursue these matters and see them through to prosecution. Lack of progress in this area was being addressed by the SIU and the NPA through a memorandum of understanding. With regard to conflicts of interest identified by the SIU, evidence that pointed towards a contravention of the Prevention and Combating of Corrupt Activities Act (PACOCAA) by nine current and one former Department official had been referred to the NPA in November 2013 and January 2014. The matters had been referred to the Department for disciplinary action against nine officials, and three of the referrals had been finalised. The remainder of the disciplinary referrals would be finalised by the end of November 2017. The evidence that pointed towards contravention of the VAT Act by five entities had been referred to the South African Revenue Service (SARS) in December 2013. On duplicate payments made by the Department, the evidence that pointed towards the contravention of the VAT Act by eight entities had been referred to SARS on 9 December 2013. SARS had advised that both these matters were being investigated in terms of their mandate and legislation. Concerning the involvement of the Department in the Sundays River Municipality Regional Bulk Water Scheme and the Paterson Bulk Water Supply Project, the SIU had facilitated the declaration of a formal dispute in terms of the Intergovernmental Relations Act. The declaration of the dispute had been accepted by the Minister of Cooperative Governance and Traditional Affairs and the MEC of Local Government. 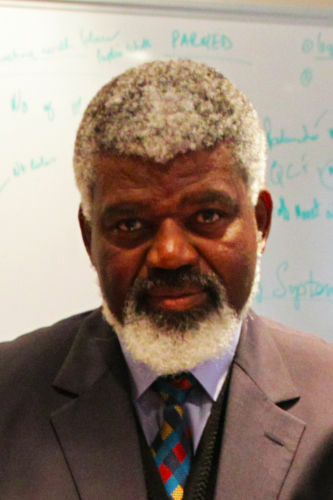 On 14 February 2014 a dispute resolution meeting had been held, and agreement was reached where the SRVM would make monthly repayments of R250 000 per month from March 2014 to June 2016. The SRVM had since repaid the capital of its debt amounting to R5 804 800 to the Department in full. National Treasury advised the Committee on the progress of the overdraft of the Water Trading Entity (WTE). Treasury indicated the overdraft was increasing again due to resumption of payments to the TCTA. The WTE’s overdraft of R454 million in March 2016 had increased to R2.7 billion by March 2017. It had agreed with Treasury on a reduction of R200 million by June 2017, but had actually reduced it by R400 million. By August 2017, the overdraft was at R1.2 billion -- a reduction of R1.5 billion -- but by September 2017, it had increased again to R1.9 billion. Treasury stated the WTE’s major risk was related to the Trans Caledon Tunnel Authority (TCTA). It owed money to the TCTA, which had huge debt redemption requirements next year. However, if the WTE remained on the same trajectory, it would meet the target set in April 2017, and continued monitoring would ensure the overdraft did not grow further. Members wanted to know how effective the SIU referrals to the NPA were, because R30m had been squandered; wanted to establish what the level of the involvement of the DWS had been during the investigations; asked how much money the SIU had spent on the investigations since 2012; wanted to find out what influenced it to take action when interacting with the Department, because people did not see anyone in jail; and asked if the SIU had thought of special investigation tribunals to fast-track disciplinary proceedings. National Treasury was asked if it was possible for them to assist the DWS with outstanding payments from the municipalities. It was proposed that the Committee should ask Treasury and the Department to get together to sort out the problem. The Department was urged to be innovative in the way it was doing things, because some of the projects that it said were worth R500m, for example, could be done for R50m. Advocate Jan Mothibi, Head: Special Investigating Unit (SIU), presented two proclamations to the Committee: Proclamation R.54 of 2012 Department of Water Affairs; and Proclamation R.22 of 2016 Lepelle Northern Water and Gauteng Department of Human Settlements.Proclamation R.54 of 2012 was published on 21 September 2012. The SIU had conducted an investigation into approximately 34 allegations, all of which were completed with significant and successful outcomes. Prior to the finalisation of the Presidential Report, new allegations were received by the SIU relating to the procurement process of the Vuwani Steel Pipeline, which the SIU commenced investigating in late 2014 under the same proclamation. Once this matter was completed, the SIU would present a supplementary report. 1. The procurement of and contracting for goods, work or services by the Department and payments made are in a manner that is not fair, equitable, transparent, competitive, or cost-effective, and contrary to legislation, policies, procedures and instructions issued by the National Treasury. 2. Maladministration in respect of the affairs of the Department and any losses or prejudice suffered by it as a result of such maladministration by its officials or employees or its agents in relation to variation orders being granted which exceeded the allowable percentage of the original contract pipe; the appointment of 86 contract labourers which followed the dismissal of the originally appointed 104 contract labourers in respect of the Expanded Public Works Programme; conflicting interests of the Department's personnel or agents in entities contracting with the Department, including the causes of such maladministration; and payments made to TWM Projects. 3. Any undisclosed or unauthorised interest the Department's personnel may have had with regard to contractors, suppliers or service providers who bid for work or did business with the Department and contracts awarded by or on behalf of the Department. 1. The appointment of LTE Consulting by the Department to render services to the Department for the construction of Sweetwaters Reticulation Network for Water and Sewer, and payments made to LTE were in a manner that was not fair, transparent, competitive, cost-effective, and contrary to legislation, policies, prescripts and instructions issued by the National Treasury, and any related unauthorised, irregular or fruitless and wasteful expenditure incurred by the Department. 2. The appointment of LTE by Lepelle Northern Water to render services for Mopani Water and Waste Water Emergency Intervention which includes Giyani Water and Waste Water Schemes on a turnkey basis, and payments made to LTE were in a manner that was not fair, transparent, competitive, cost-effective, and contrary to legislation, policies, prescripts and instructions issued by the National Treasury, and any related unauthorised, irregular or fruitless and wasteful expenditure incurred by the Department. As a result of the investigations conducted by the SIU, 58 referrals were made in respect of the outcomes of the investigations. The SIU had followed up with the National Prosecuting Authority (NPA) to determine the status of the referrals made to them. It would continue to pursue these matters and see them through to prosecution. Lack of progress in this area was being addressed by the SIU and the NPA through a Memorandum of Understanding. Regarding the procurement of accommodation services by the Department from Botsi Trading Enterprises CC, the SIU had referred the evidence of fraud and a contravention of section 17 (1) of the Prevention and Combatting of Corrupt Activities Act No. 12 of 2014 (PACOCAA) to the NPA in December 2013. Evidence obtained incriminated an official of the Department and two private persons. The matter was referred to the Asset Forfeiture Unit (AFU) for the potential recovery of the full contract value of R468 400 in November 2013. The evidence obtained was referred to the Department for disciplinary action against Ms Khuluse for financial misconduct, dishonesty and fraud. Ms Khuluse had resigned from the Department. Concerning the procurement of timber and shutter boards by the Department from Metric Industrial Suppliers CC, the evidence that pointed towards former official of the Department, a private party and Metric Industrial having committed fraud, alternatively theft, had been referred to the NPA in January 2016. The DWS had instituted action against Metric Industrial. The Department's claim was for the recovery of R30m in respect of invoices submitted to the Department for goods that were not delivered. The SIU had provided the State Attorney with the relevant evidence obtained and was monitoring the civil process. About Buca Management and Projects, the SIU had referred the evidence that pointed towards fraud and a contravention of Section 17 (1) of the PACOCAA by an official of the Department to the NPA in November 2013. The matter was referred to the AFU on November 2013 for potential recovery of the full contract value of R176 400. The disciplinary action could not be instituted against the official as he was no longer in the employ of the Department or any other public service entity. Pertaining to the involvement of the Department in the Sundays River Municipality Regional Bulk Water Scheme and Paterson Bulk Water Supply Project, the SIU facilitated the declaration of a formal dispute in terms of Section 41 (1) of the Intergovernmental Relations Act. The declaration of the dispute was accepted by the Minister of Cooperative Governance and Traditional Affairs, Mr Richard Baloyi, and the MEC of Local Government, Mr Qoboshiyane. On 14 February 2014 a dispute resolution meeting was held at Sundays River Valley Municipality (SRVM). An agreement was reached where the SRVM would make monthly repayments of R250 000 per month from March 2014 to June 2016. The SRVM had since repaid the capital of its debt, amounting to R5 804 800, to the Department in full. With regard to conflict of interests identified by the SIU, the evidence that pointed towards a contravention of Section 17 (1) of the PACOCAA by nine current and one former Department official had been referred to the NPA in November 2013, and the latter in January 2014. The matters were referred to the Department for disciplinary action against nine officials. Three of the nine referrals had been finalised. The status of the remainder of the disciplinary referrals would be finalised by the end of November 2017. The evidence that pointed towards contravention of the VAT Act by five entities had been referred to the South African Revenue Service (SARS) in December 2013. SARS advised the matters would be investigated in terms of their mandate and legislation. 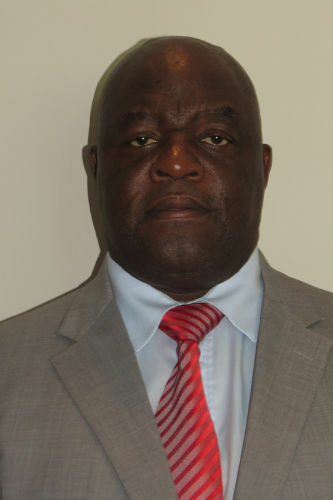 In the case of Mr Morris Mbhazima Nkuna -- Chief Morris Business Enterprises CC -- the investigation had uncovered evidence of an offence of fraud by an ex-official of the Department, acting on behalf of Chief Morris Business Enterprises. The ex-official appeared to have defrauded the Department by being complicit in the manipulation of the procurement processes concerned and representing to the Department that VAT was due and payable to him in respect of the services rendered, whereas it was not. These matters had been referred to the NPA in August 2014. The matter had then been referred to the AFU on August 2014 for the potential recovery of the full contract value of R678 756. Mr Misaveni Ngobeni, Director: DWS and COGTA, National Treasury, enlightened the Committee on the progress of the overdraft of the Water Trading Entity (WTE). He pointed out some factors that contributed to the overdraft. Over a seven year period (2014-2020), the revenue assumption had been a 5% growth, transfers declining by 1%, and expenditure growing by 6%. New projects were increasing without a commensurate budget. The weak revenue growth had had to support the growing capital budget. The Trans Caledon Tunnel Authority (TCTA) debt repayment costs were around R5 billion per year. There were also unfunded mandates for water services projects, and pricing strategy concessions. The overdraft was increasing again due to the resumption of payments to the TCTA. The WTE had disclosed an overdraft of R454 million to Treasury in March 2016. By March 2017, it had amounted to R2.7 billion. The WTE had agreed with Treasury on a reduction of R200 million by June 2017. By June 2017, it had met the agreement with Treasury by R400 million, and the overdraft was standing at R2.3 billion. By August 2017, the overdraft was down to R1.2 billion, a reduction of R1.5 billion. However, by September 2017 it had increased to R1, 9 billion. Mr Ngobeni pointed out the following as contributors to the reduced overdraft: the moratorium on new projects by the WTE; a decline in expenditure on water services projects; the adoption of a realistic budget, with correct revenue assumptions; and fluctuating payments to the TCTA. The major risk was related to the TCTA. There was money owed to the TCTA which had huge debt redemption requirements next year. If the WTE remained on the same trajectory, it would meet the target set in April 2017, and continued monitoring would ensure that the overdraft did not grow further. The Chairperson remarked that the vision and mission of the SIU was very interesting, but whether the product was working or not at the end of the day remained to be seen, because there was always a preference for private legal firms. Adv Mothibi said the SIU wanted to be the preferred state forensic investigator. State institutions preferred private companies that charged high fees. The expertise and skills of private firms were the same as those of the SIU. The SIU gave its customers end-to-end service. Mr D Mnguni (ANC) wanted to know when the proclamation had been signed by the President. He also asked how effective the referrals to the NPA were, because R30m had been squandered. Who monitored these referrals, because people who were defrauding the state and those who intended to defraud the state must learn a lesson? Adv Mothibi said the proclamation had been signed on 20 September 2012, but he could not comment on other details. On referrals, he explained that the SIU referred matters to other state institutions. It now sought to be involved to find out what happened to the referrals it had made. As a result, it had signed an MOU with the presidency on referrals, and had established a monitoring structure that monitored the referrals. This was something that was not done before. They had observed that the SIU needed to make follow-ups on the referrals. State institutions had to take action, but if no action was taken, the SIU could not do anything. However, the signed MOUs now gave the SIU authority to make follow-ups on the referrals. State departments and institutions could approach the SIU for investigation reports and have the right to request these reports from the presidency. Mr H Chauke (ANC) wanted to establish what the level of the involvement of the Department had been during the investigation. He added that the SIU did not look like it was poisonous, even though its logo or badge depicted a cobra. Adv Mothibi explained when they received allegations from whistleblowers, they assessed and analysed them. The executive authorities (Ministers and Directors General) of the affected department were made aware of the investigation and proclamations regarding the case before the proclamations were sent to the President. The SIU then gets into an agreement with the executive authorities of the department so that it can update them about the progress of the case. On whether the SIU was poisonous or not, he indicated the annual report of the previous year had reported a high amount of recoveries. Mr R Cebekhulu (IFP) asked how much money the SIU had spent on the investigations since 2012, and wanted to know if the team dealt only with the DWS, because there was fraud in other government departments. Adv Mothibi said the cost details would be forwarded to the Committee separately, because that had not been part of the brief. The details would be about the internal costs, because the SIU no longer used consultants. He added that the SIU investigated across state departments or institutions. Mr L Basson (DA) wanted to find out what influenced the SIU to take action when it was interacting with the Department, because people did not see anyone in jail. Offenders got suspended and after six months they came back to the Department to continue working. Adv Mothibi said they did not wait until the report went to the President. The matter was referred to the NPA to effect the criminal execution process. The SIU had the right to arrest and prosecute. Ms H Kekana (ANC) wanted to know if the SIU had thought of special investigation tribunals. Adv Mothibi replied that the matter was receiving serious attention. Some time ago, the SIU used to have a tribunal to fast-track civil cases, but this had later ceased to exist. Currently, they were in discussions with the Justice Department, which had secured funding for a special tribunal to be established for quick results. Ms M Khawula (EFF) asked what the SIU had done about the case of the construction pipes bought by government that had been thrown away at uMkhanyakude, because no arrests had been made so far though the offenders were known. A similar case had happened in Durban, where houses were built in a place that was never surveyed, and in Limpopo there had been a project where a local community did not benefit in terms of employment opportunities, and work was given to outsiders. She remarked that oversight hurts, because when they do it as a Committee, they discover that services have not been rendered to people, yet money had been allocated and spent, but the work was incomplete. Lastly, she said the Committee was not informed about the suspension of DGs and DDGs. Advo Mothibi said the SIU was not in a position to comment on the matter of suspended DGs and DDGs. With regard to the other three cases, he said the SIU did not have the facts, and details should be provided to it so that it could make a follow-up. Mr Basson remarked that the Water Trading Entity had entered into an agreement with Treasury to pay back R2.7 billion in 2018. All the money that it was getting went to the Treasury, and there was no trend that this would change. The entity should have opted to pay the overdraft over a long period so that projects did not stop or could be financed. The National Treasury should assist, because COGTA was still owing the Department money. The blame could not be shifted, and money needed to be collected from those who owed the Department. If it was not collected, there would be a collapse in infrastructure. If the municipalities owed the Department money, the Department should request Treasury to block their equitable share. Billions of rands were pumped into municipalities, yet they still owed the Department money. Mr Ngobeni explained that when Treasury started to negotiate with the Department, they had asked it if it would be able to pay back after two years. It had assured Treasury it would be able to do so. At that point, it had been difficult for them, and that was why it had committed. However, Treasury could now see it would continue not to pay. Once the master water plan came into effect, things were going to change. Mr Mnguni wanted to know if it was possible for Treasury to assist the Department with regard to the municipalities. Mr Ngobeni replied that there had been a resolution that the Committee, Treasury and COGTA should get together to find solutions to the problems. These problems were far reaching. In the under-spending by COGTA, for instance, the withholding of its equitable share for non-compliance was something possible, but there was no political and technical leadership to look into the matter. Municipalities had poor capacity. COGTA, the DWS and Treasury should come together and solve the problems. Another issue was that it was possible to strengthen licensing conditions, so that water could be shut down. If only municipalities could fix their poor infrastructure management challenges, they would be able to collect revenue. Mr Basson proposed that the Committee should ask Treasury and the Department to get together and sort out the problems. If there were projects that needed to be implemented, those projects should be presented to the Committee for evaluation so that it could prioritise those that were important. The Chairperson commented that the Department needed to be innovative in the way it was doing things. Some of the projects that it said were worth R500m, for example, could be done for R50m. The Committee had come across high cost projects done for lesser amounts, as this had come up during the oversight visits. Innovations were needed. He asked how the Department was going to get out of trouble. Mr Frans Moatshe, Acting CFO: DWS, said that with new projects, the Department had to start doing things right internally first, and then interact with the Committee and Treasury so as to clear all the obligations, and come up with a strategy it would present to the Committee. The Chairperson said the Water Trading Entity had assets that did not work for the Department, and those assets could be taken to the TCTA. Mr Basson warned that if those assets were merged with the TCTA, this would transfer bad debt to the TCTA. There would be risk involved. Mr Ngobese said the risk was there already. The problem was the funding model. Problems should be ironed out or consolidated before the merger. The Department needed to finalise the Water and Sanitation Bill; finalise institutional reform; control inefficiencies to bring out new projects; implement the water pricing strategy; and manage cost-over-runs on projects or improve on project management. It needed to pull resources from the government to assist with some of the problems.